I’ve been reading a lot of blog posts lately. I love stumbling across new and interesting people through Instagram or other social networks and getting immersed in their lives, even for just a few moments. An entire blog dedicated to your love of chevron? Don’t mind if I do. Oh, you don’t just donate money, you actually travel to other countries to help underprivileged children…every 6 months. Of course you do! There’s a wonderful community of writers out there sharing their passion with the world. Some have even made a business out of it. As I sit down to write each week, I sometimes doubt whether my blog is worth the time and effort. Is anyone actually going to read this? And if they do, will they enjoy it? And then I come across this blog. And this one. And my confidence is restored. Let’s get serious. I’m not saving lives here folks. The recipes I share are not revolutionary. Contrary to what I believe, one can only handle so many puppy pictures. But the more I write the more I realize that it’s the process itself in which I find fulfillment. Writing is my form of expression. Well one of them at least. Sometimes I kid myself into thinking I can actually sing in the shower and am quickly reminded that it was my sister who got the vocal talent in the family. In a world of Pinterest, final drafts and Photoshop, we see a version of a project, recipe or person that has a lot of editing behind it. And just like the real world, it’s hard not to compare your dimly lit eggplant stack to the perfect Pinterest version you were striving for. The more blogs I read, the more I find myself jumping to the About section after finishing the initial post. I’m interested in the content, but before I get to it I want to know more about the author. What does he or she look like? Do we share any similarities? We want more, we want more. You really like it, you want more. And I’d be a hypocrite if I noticed this tendency and didn’t do something about my own about. If you visited my about page previously you would have seen a very brief paragraph and a photo of Finn and I. And that was it. OK, so this girl likes food, photography and dogs. Not necessarily in that order. I know it’s hard to believe seeing as how most of this blog is dedicated to observations about my life, but when it came to making a list of items to help strangers get to know me as a person, I actually had a hard time writing them down. I got a little overwhelmed thinking that the throngs of visitors the few new visitors that came across the page might judge me based on the list. What if they think I’m presumptuous? What if they think I’m boring? What if they think raisins are disgusting? 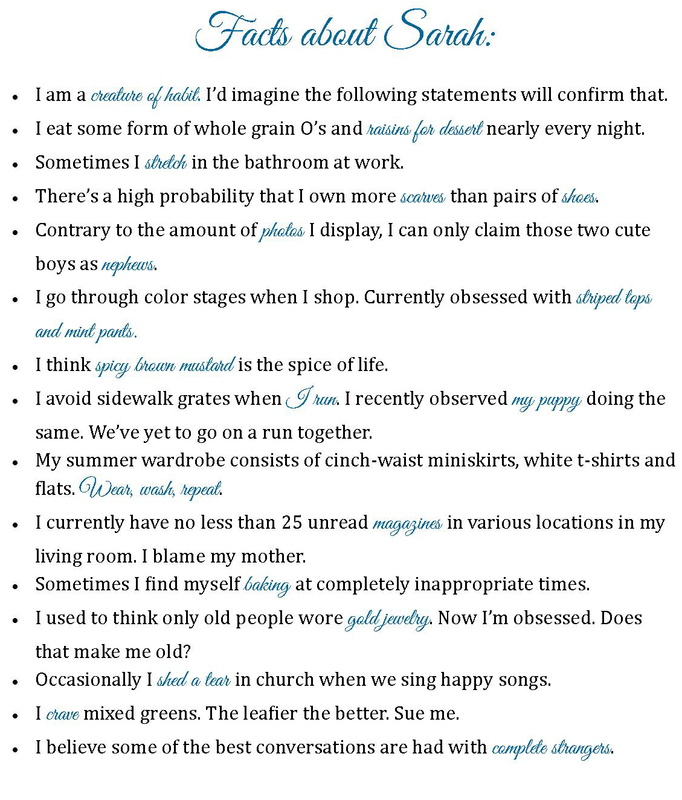 And while I know I still have some work to do on improving the section, I hope that this small list will help you learn a little bit more about me and perhaps just maybe a few things that make you want to read more. I locked my puppy inside my condo last week. Well don’t you lock your puppy inside your condo everyday, Sarah? And you would be right (except for the days he goes to daycare). But on this particular day, my boyfriend had a game in Houston and would not return until late that evening, far too long for a large but young puppy to be cooped up inside. And before you send my information to the ASPCA, know that I wouldn’t have left my puppy locked in my condo without a plan. My mom was in town for work and offered to let the monster out mid-day. 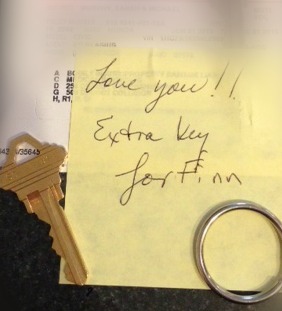 We had a belated Mother’s Day dinner the night before and I was so proud of myself for remembering to give her the security key to get into my building. I would just keep my door key so I could get back in that night and leave the door open for her the next day. But come Tuesday morning, I rushed out the door to get to the airport and, wait for it, locked the door. Fast-forward several hours later and my phone rings mid-conference set-up. Mom: Well honey, I think I have the right unit but the door seems to be locked. Are you sure I’m at the right door? Me: Yes. You are. I ran out so fast. I think I locked it. Mom: Oh well don’t you worry about it honey. He will be fine. The good news is my mom is sweet even when I’m an idiot. Even better news is that I was able to call in a favor from another family member to open the door and let Finn out before anything bad happened. You know, like the poor puppy having to take an extra long nap instead of a long one that day. In an effort to begin to show my gratitude to my cousin for letting Finn out for me, I inquired about his taste in baked goods from his sister. She mentioned that he liked Scotcheroos. I’ll admit, I had to Google the name to figure out what they were. However, once I saw a photo the baker in me laughed. Oh, Scotcheroos. 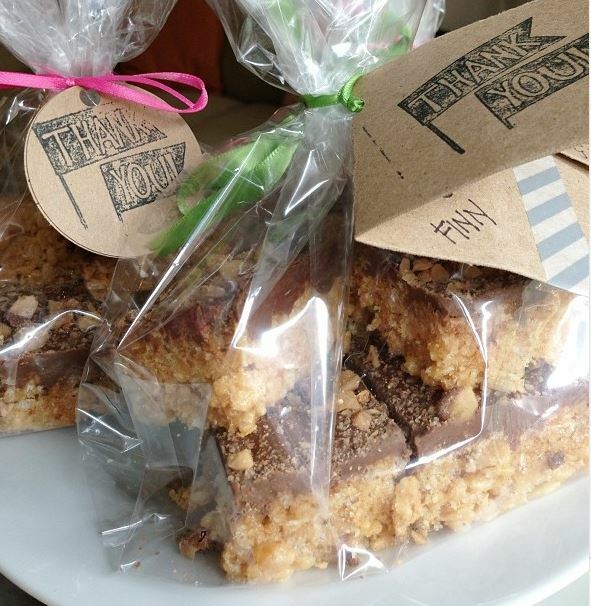 That’s what these blogs call those Peanut Butter Rice Crispy Bar things. Because my version was so much easier to explain all these years. I had a few hours Friday between D.C. and Milwaukee so I made a batch and delivered them to my cousin and a few friends on foot. Yes, on foot. In 80 degree weather. You might remember the first half of the story when I gave myself a point for proactively giving my mom my security key. And how proactive I was. It wasn’t as though I would need that particular key when I returned to gain access my garage where my car is parked. Or the stairwell. Or the building. But I survived thanks to a keypad and some nice neighbors. And along the way I learned that Scotcheroos don’t melt if you properly load them in a cinch-sack, run fast and deliver to air-conditioned condos early in the morning. In a large bowl melt corn syrup, sugar and peanut butter. Pour mixture over puffed rice and stir until combined. Press into a greased 9×13 pan. In a separate bowl melt butterscotch chips and chocolate chips. I was in a hurry so I melted the chocolate in the microwave on 30 second intervals. I added a little chocolate almond bark at the end. Spread melted chocolate mixture over puffed rice, top with chopped heath bar bits and let cool. If needed refrigerate for a few minutes until it sets up. Cut into small squares and serve. 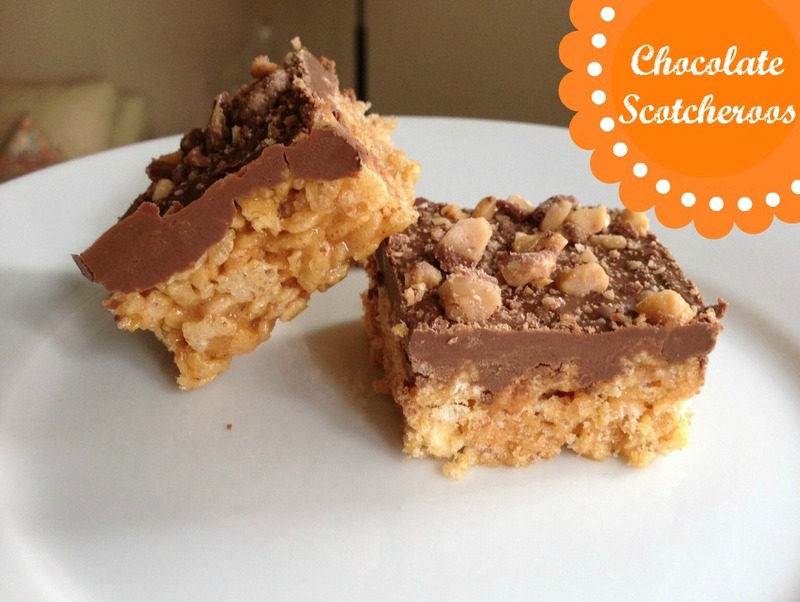 Be sure to add the extra weight of Scotcheroos into your calculations for distance traveled as part of delivery. Continue running because those suckers are decadent! So now that we’ve established the formal name of those token bake sale, tailgate and office treats, we can all move on to memorial day. As for me I’m just excited to have access to my building again. I received a package in the mail this week that reminded me how lucky I am to have such considerate parents. I’m not sure at what point my parents decided to have a second child, but it’s times like these I feel pretty lucky that they did. They could have stopped at one, you know. Just enjoyed the peaceful sounds of my sister singing and eating nothing but chicken sandwiches throughout the years. But no. 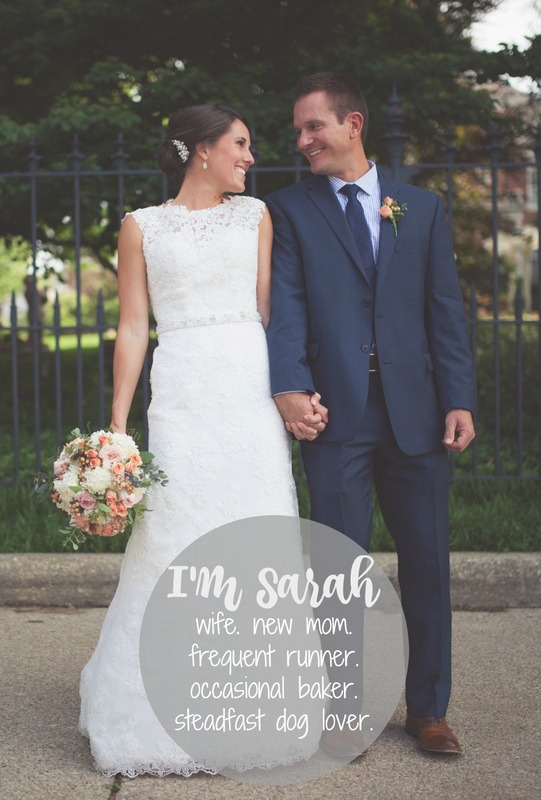 They decided to have always hurried and often forgetful Sarah. And while I’m sure they would say there are other perks to having me as a daughter, I am fairly confident that thanks to me they are on a first-name basis with the key man at Ace Hardware by now. And I think we all know how valuable that can be. Love this and it all worked out fine, didn’t it…we are very happy to have two daughters! I truly enjoy reading your blog…all the time!! This one really made my day. Aw. Thanks Debbie. I appreciate the thoughtful comment! Hey..new news…we made new keys for Anne’s front door this week.>>now you’re even.